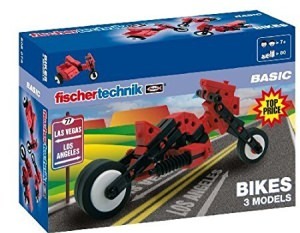 Includes 320 pieces for building 10 different functional and informative models. 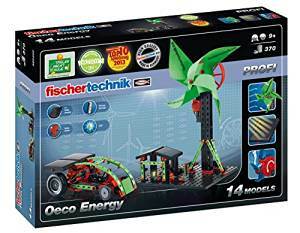 Build a solar car, a solar windmill, and more. 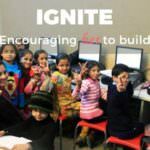 Innovative, hands-on-learning experience for students age 9 and above. 500 Components for building 40 different models. 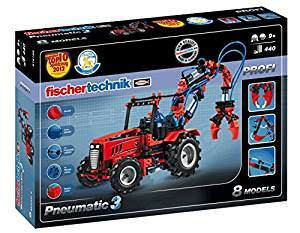 Hours of creative, hands-on building fun. 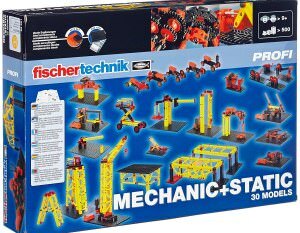 For full functionality of models, we suggest : Motor Set XS with 9 V Battery or Motor Set XM with Energy Set-each sold separately. 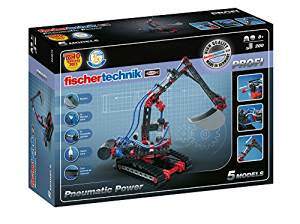 Contains 270 components for building 6 action packed models. 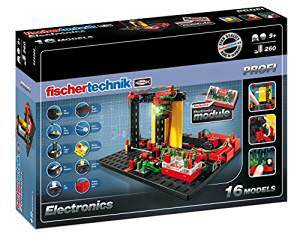 Hours of creative, hands-on building fun. 100 parts for building 3 mobile robots. An ideal introduction to the exciting world of robotics. Innovative, hands-on-learning experience for students age 8 and above. 180 parts for building 4 pneumatic models. Hand powered–no batteries required! Innovative, hands-on-learning experience for students age 9 and above. 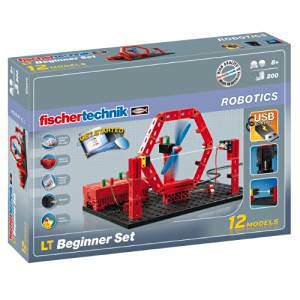 Includes 200 components for building 12 different robotic models. 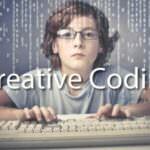 Ideal for beginning programmers. USB Powered! 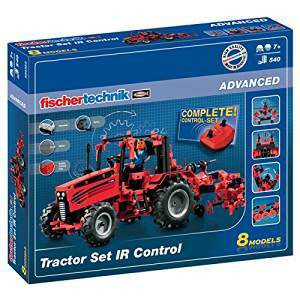 Includes 540 parts for building a tractor with 7 working attachments. 4 Channel Infrared remote control. 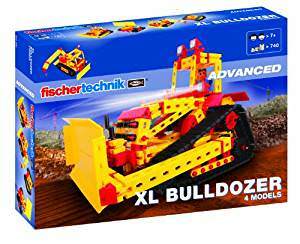 Hours of fun for children age 7 and above. 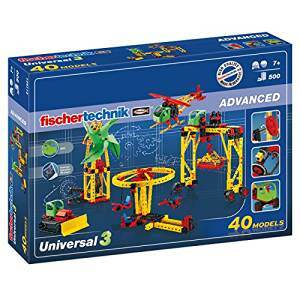 Includes 300 pieces for building 12 different instructive models. 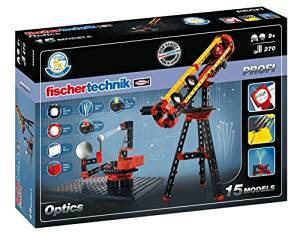 Build a telescope, microscope, periscope, and more. Innovative, hands-on-learning experience for students age 9 and above. 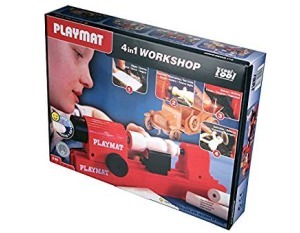 Helps children learn the principles of pneumatics and uses realistic models to demonstrate how compressors, pneumatic valves and cylinders work. 135 colorful components for building 11 different, fun-filled models. 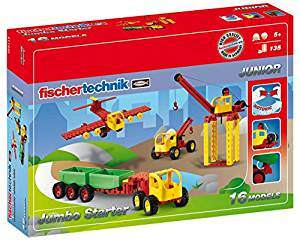 Build a crane, an airplane, a tractor and 13 more! 4 in 1 Workshop. Set of power tool parts that build into 4 different woodworking tools. 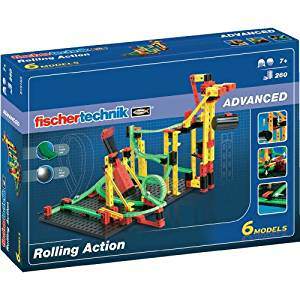 Encourages fine motor dexterity, focus, logic, creativity. 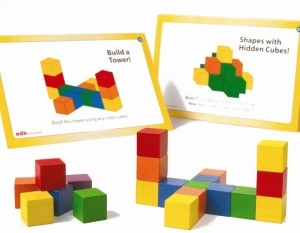 Use these easy to connect interlocking cubes to conduct activities on sorting, counting, pattern building, number relationships, illustrate place value, and more. Plastic cubes are 2cm and come in 10 colors. 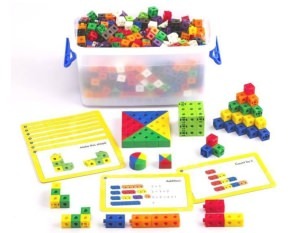 Develop visualization and fine motor skills and improve understanding of basic math concepts with this set of 102 wooden cubes (2cm) in 6 colors and 34 activity cards. 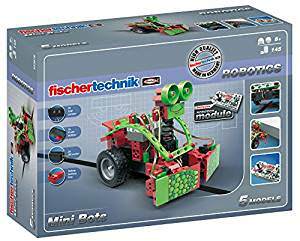 Kindly send payment to following account and inform us the payment details by email to support@irobokid.com. 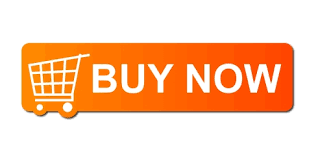 We shall ship the purchased item within 2 working days*.